We started our day in Belfast walking through the city in the early morning. On Sunday, Belfast closes down; some stores won’t open at all and others are only open for a few afternoon hours. As it turns out, this was a blessing, as the crowds were nonexistent and we were able to wander and explore with hardly any traffic. We headed for City Hall first thing. 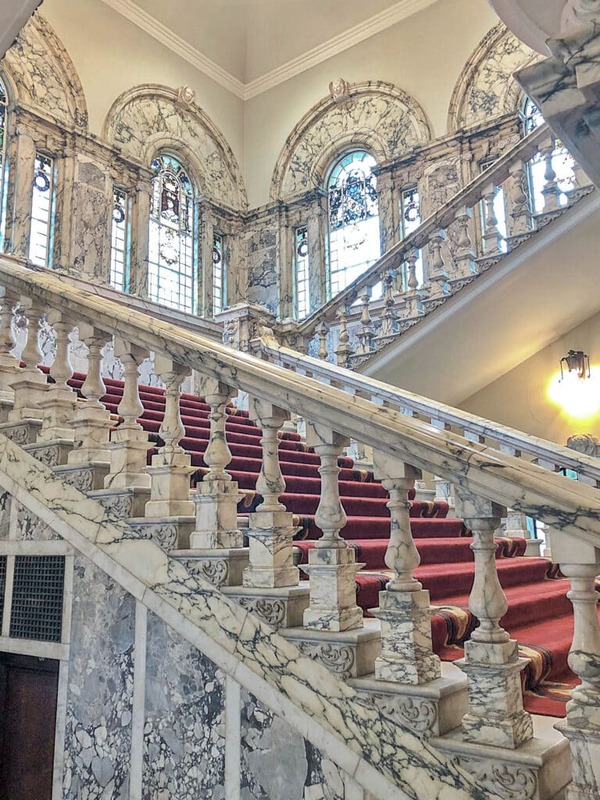 Belfast’s City Hall is a work of art. Despite the fact that it was Sunday morning and a tour was unavailable, we were still able to enjoy the beautiful architecture inside. 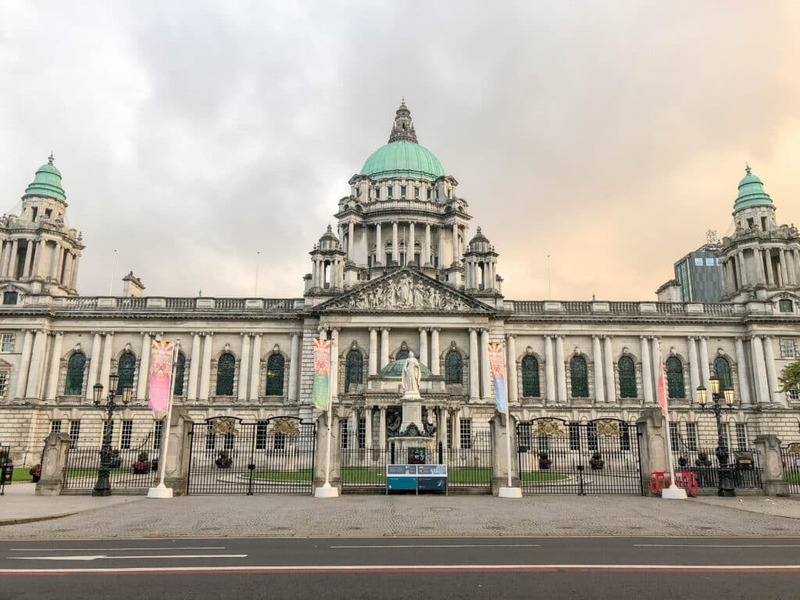 Belfast’s City Hall is a must-see landmark for Northern Ireland. There is marble everywhere you look in this beautiful building. 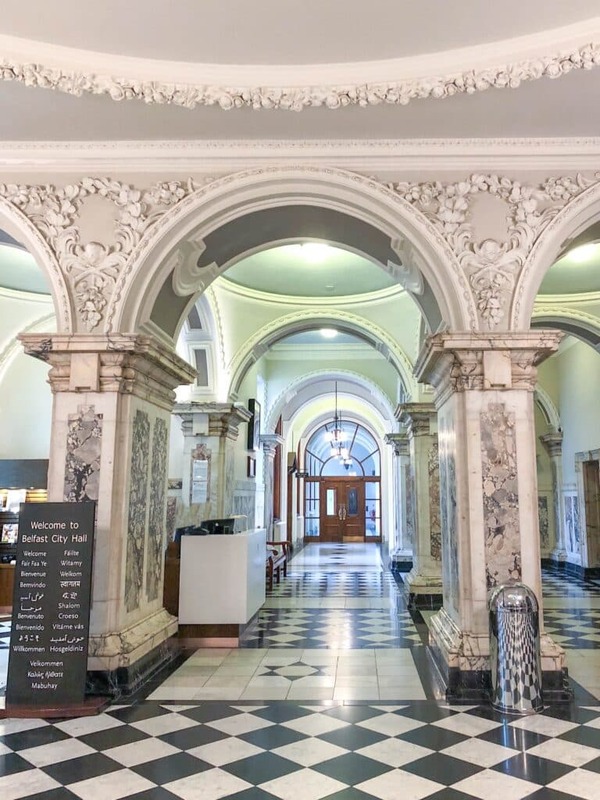 City Hall houses dozens of paintings, statues, and stained glass windows that commemorate important moments in Belfast’s history. Belfast, Ireland was the original home of the Titanic, the ill-fated ship was built in there before sailing out of Southampton on its way to New York. There are memorials to the Titanic throughout the building and the grounds. We walked through the museum and admired the architecture both inside and out. Belfast city hall is a far and beautiful cry away from the sterile city hall buildings I’ve entered back home. 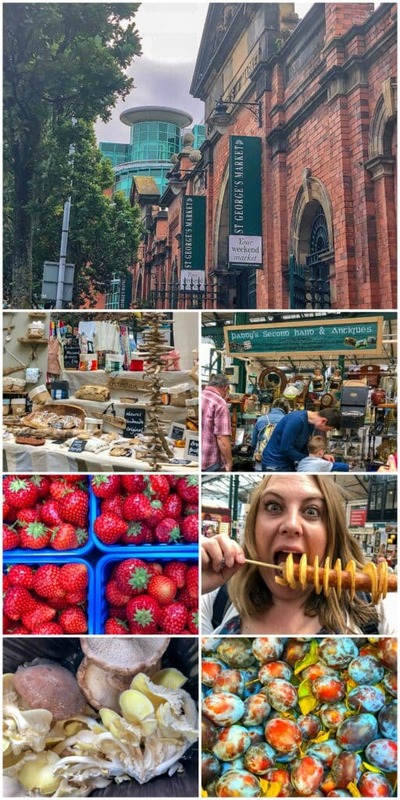 From City Hall we walked over to St George Market where we found some delicious food options. From a roasted vegetable quiche to pastries, ham and cheese croissants, tornado potatoes wrapped around sausage on a stick, puffy little dutch pancake bites, and Guinness bread. We enjoyed so much great food that morning. There was live music in the market while we were there and an abundance of fun stalls to shop and explore. 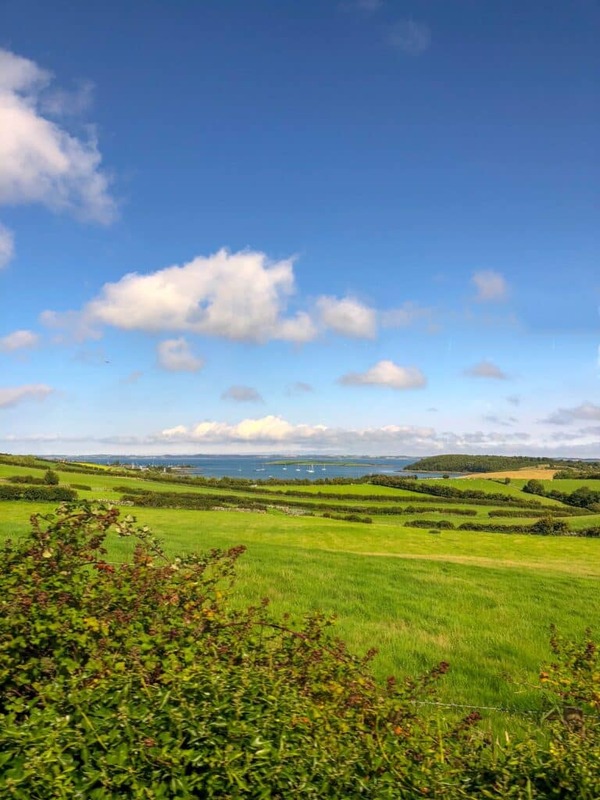 We met up with our tour guide and driver around 1 pm to head out to the beautiful countryside in County Down where we participated in a hands-on day of Irish bread making with Tracey Jeffries and Northern Ireland Food Tours. The drive to our destination was as picturesque as it could have possibly been. 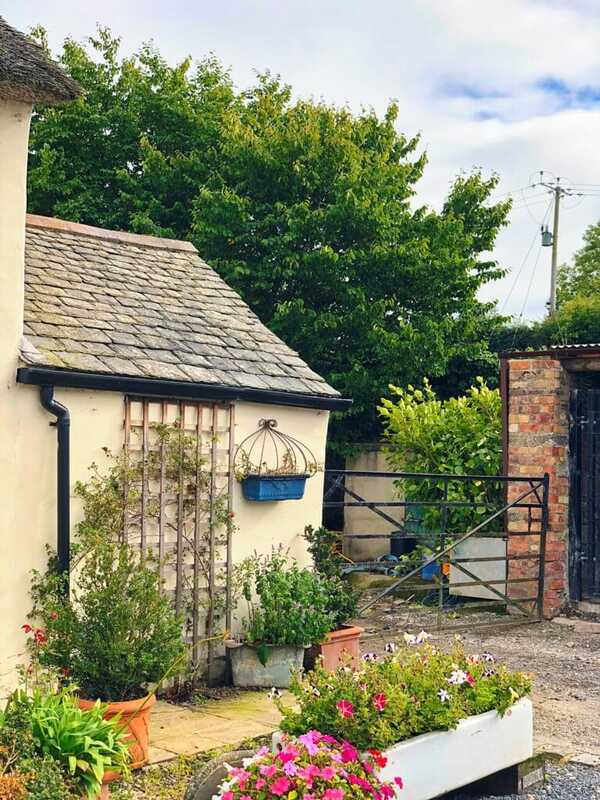 From rolling green hills to little towns and pastures dotted with lovely farmhouses. This turned out to be one of the best Princess Cruises excursions I’ve ever done. I especially love her recipe for Irish Soda Bread with Raisins and I’m excited to be sharing it with you. On our drive out to the countryside, we toured the city. 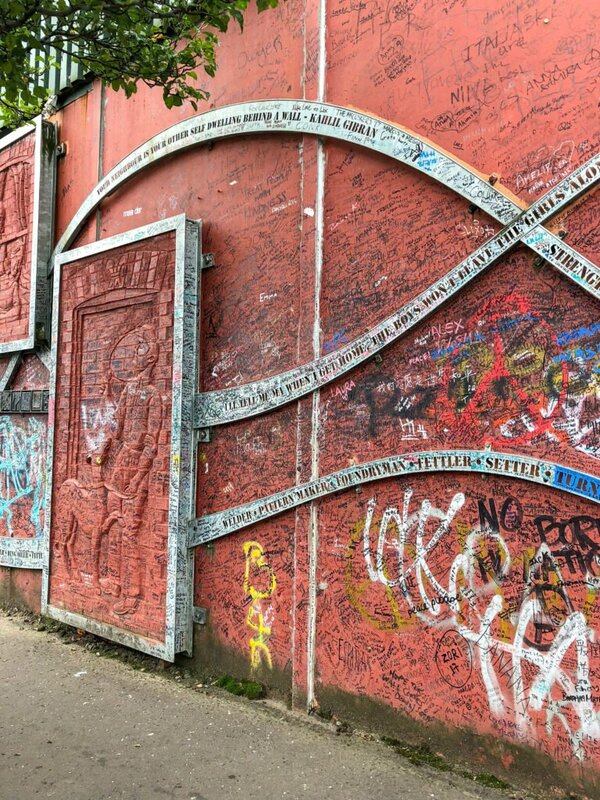 We stopped at the Peace Wall, a must-see place in Belfast’s history and modern day life. I honestly didn’t realize before our visit just how divided the city still is today. The Protestant and Catholic neighborhoods are clearly defined throughout the area. 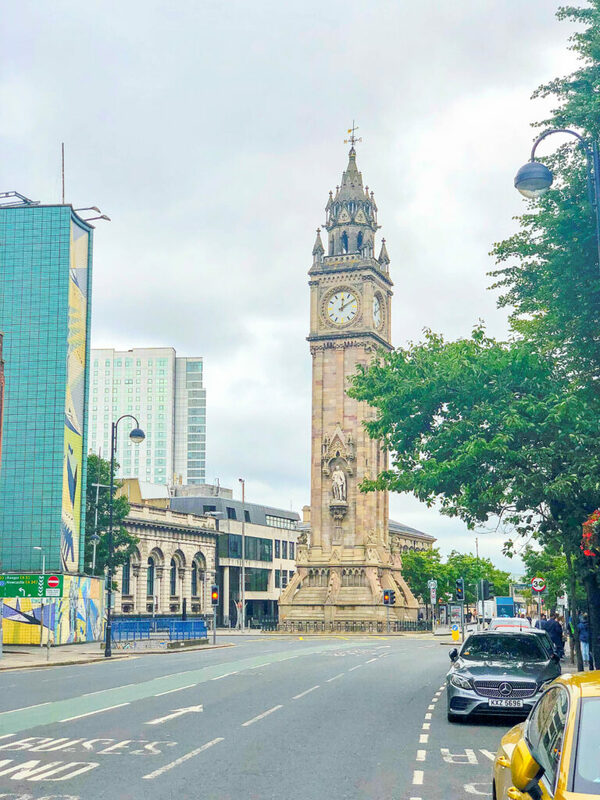 There are many landmarks throughout the city that reminded us that the troubles aren’t all in the past for parts of Ireland. 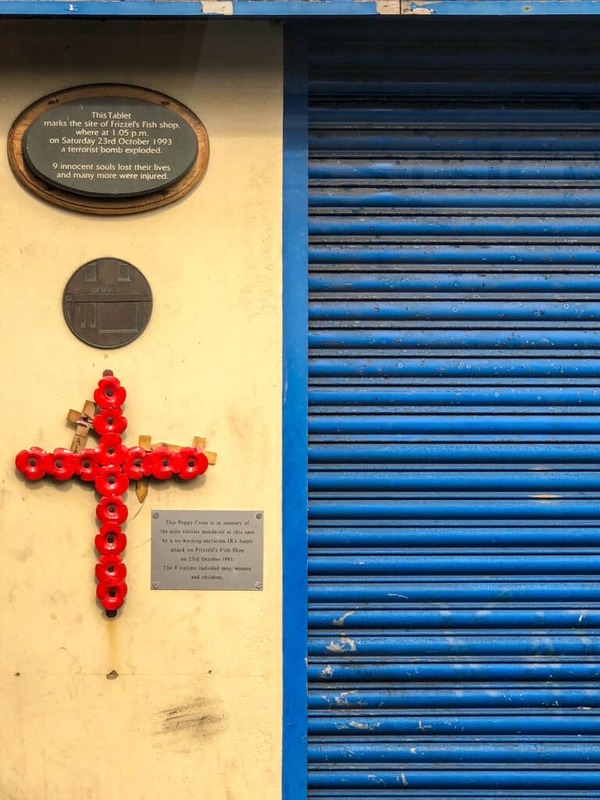 The plaque below marks the site of Frizzel’s Fish shop, where on October 23, 1993 a terrorist bomb exploded. 9 victims: men, women, and children, were murdered by the IRA bomb attack and many more were injured. 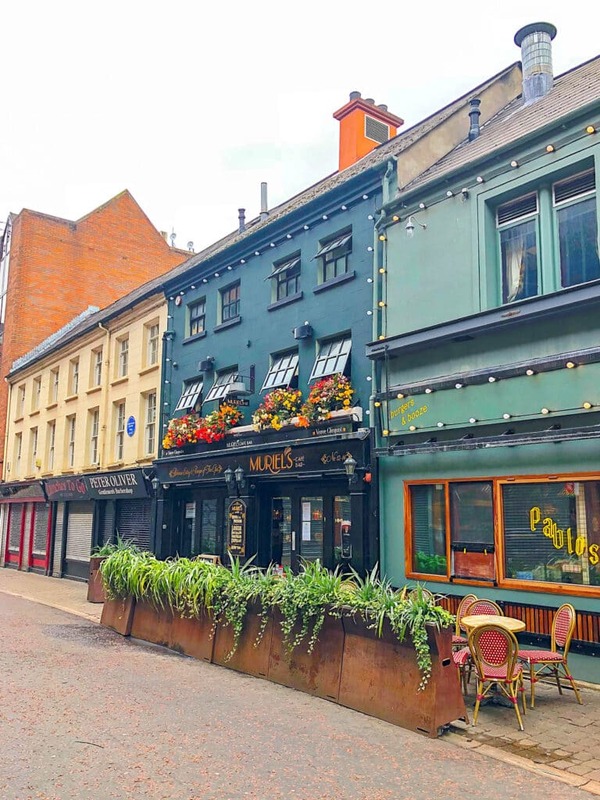 When we returned to Belfast, full of delicious breads, tea, and coffee, we headed for the infamous Muriel’s Cafe to sit and relax a while. Technically, we headed for both Bittles and Muriel’s – as an added bonus, they’re on the same street. We had it on good authority that both were visit-worthy Irish pubs. We lucked into the perfect corner room at Muriel’s and had a great evening there before catching the last shuttle back to the ship. If you are fortunate enough to enjoy a later day in port on any cruise day, I encourage you to make the most of it. 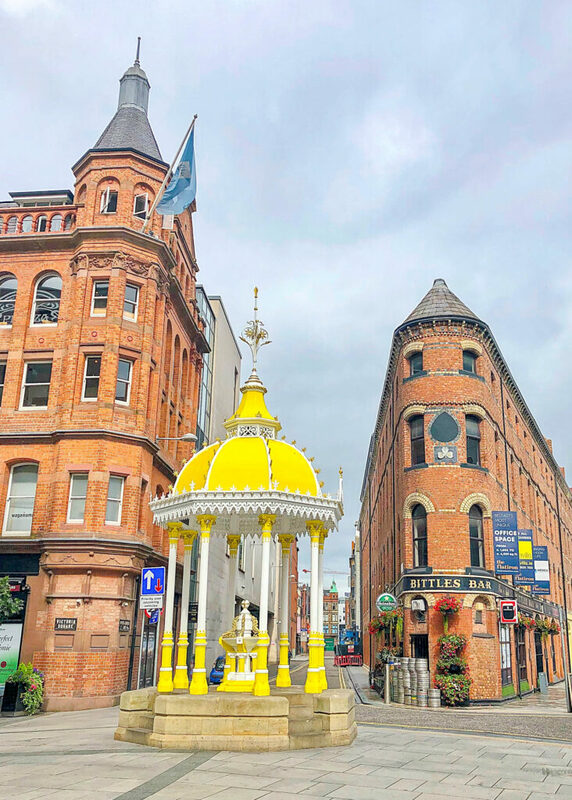 And if you are visiting Belfast on your own, be sure to check out Northern Ireland Food Tours for an absolutely delicious day. To read more about our cruise through the British Isles, check out A Day at Dunrobin Castle, That Time I Turned 40. Twice. My 40ish Birthday, and these DIY Cheese Plates.